This activity is designed for dermatologists, pediatricians, pediatric dermatologists, allergists; and physician assistants, nurse practitioners, and nurses in dermatology and allergy actively treating patients with AD. Inquiries about CME accreditation may be directed to the Postgraduate Institute for Medicine (PIM) at www.pimed.com or (303) 799-1930. Activity questions may be directed to Global Academy for Medical Education at info@globalacademycme.com or 973-290-8225. In support of improving patient care, this activity has been planned and implemented by Postgraduate Institute for Medicine and Global Academy for Medical Education. 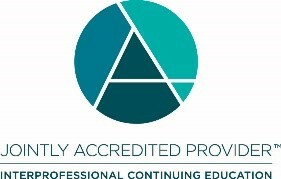 Postgraduate Institute for Medicine is jointly accredited by the Accreditation Council for Continuing Medical Education (ACCME), the Accreditation Council for Pharmacy Education (ACPE), and the American Nurses Credentialing Center (ANCC) to provide continuing education for the healthcare team. Postgraduate Institute for Medicine designates this enduring material for a maximum of 0.25 AMA PRA Category 1 Credit(s)TM. Physicians should claim only the credit commensurate with the extent of their participation in the activity. The maximum number of hours awarded for this Continuing Nursing Education activity is 0.25 contact hours. Dr. Stein Gold: Speaker’s Bureau: Allergan, Celgene, Galderma, Leo, Novartis, Pfizer, Valeant; Consultant: AbbVie, Allergan, Celgene, Galderma, Leo, Medimetrix, Novartis, Pfizer, Promius, Valeant; Fees for Non-CME Services Received Directly from a Commercial Interest or Its Agent: AbbVie, Allergan, Celgene, Dermira, Galderma, La Roche Posay, Leo, Medimetrix, Novan, Novartis, Pfizer, Promius, Sebela, Valeant; Contracted Research: Aqua, Allergan, Dermira, Galderma; Leo, Pfizer, Valeant. Dr. Fonacier: Consultant: Regeneron/Sanofi, Fees for Non-CME Services Received Directly from a Commercial Interest or Its Agent: Regeneron/Sanofi, and Contract Research: Pfizer, Regeneron/Sanofi, and Shire to NYU Winthrop Hospital. Dr. Levy: Consultant: Castle Creek Pharmaceuticals; Contracted Research: Amicus. Copyright © 2018 by Global Academy for Medical Education, LLC; and its Licensors. All rights reserved. No part of this publication may be reproduced or transmitted in any form, by any means, without prior written permission of the Publisher. Global Academy for Medical Education, LLC, will not assume responsibility for damages, loss, or claims of any kind arising from or related to the information contained in this publication, including any claims related to the products, drugs, or services mentioned herein.